The latest thunderbolt from the Head of Service of the Federation that President Buhari was actually aware of, and perhaps even countenanced, the reinstatement and promotion of Abdulrahseed Maina against her counsel is probably the final nail in the coffin of the Buhari administration's rib-tickling pretense to being an "anti-corruption" government. “I sought audience with His Excellency, Mr. President on Wednesday, 11th October, 2017 after the FEC meeting where I briefed His Excellency verbally on the wide-ranging implications of the reinstatement of Mr. A. A. Maina, especially the damaging impact on the anti-corruption stance of this administration,” the HoS wrote in a memo to the President’s Chief of Staff, which was leaked to the press. The shamefaced silence of the usually flippantly garrulous presidential media team—as of the time of writing this column on Wednesday—says a lot. So Buhari did KNOW about this indefensibly scandalous subversion of justice but feigned surprise and outrage ONLY because the matter became public knowledge and was greeted with widespread condemnation. That's a smoking gun right there! It helps to contextualize and explain Buhari's initial reluctance, even resistance, to fire Babachir David Lawal (whom he had actually defended in writing with lies!) and his choice to protect other shady, inept fat cats in his kitchen cabinet. Sahara Reporters also reported on its Twitter handle that "Buhari's Min of Interior, Abdulrahman Dambazau directly told @officialEFCC officer in charge of Maina's case to destroy casefile." Additionally, it’s a well-known "secret” that the country’s attorney-general and minister of justice, Abubakar Malami, gave formal and explicit approval for the reinstatement and promotion of Maina. 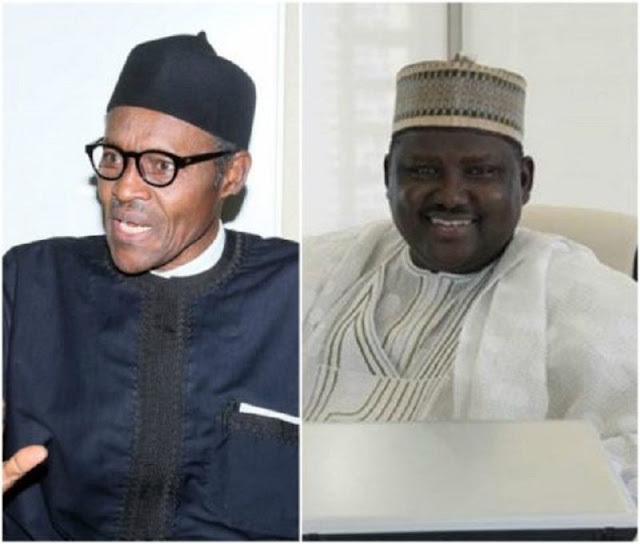 Given the deep involvement of Dambazzau, Malami, and Abba Kyari in the perpetration of this scandal, it’s impossible that the president was not in on it, a fact that some of Maina’s family members hinted at some time ago—and which the HoS has unwittingly confirmed in her official communication to the presidency. "The social and cultural basis of Buhari’s legitimacy and popularity revolve around the notion of his transparency and incorruptibility. But the secretiveness, disingenuousness and overall informational poverty of the handling of the asset declaration issue is eroding Buhari’s very credibility and giving people cause for what psychologists call post-decision cognitive dissonance. If this issue is not handled artfully and transparently, it will set the tone for his entire presidency." After intense public pressure, the president caved in and instructed his media aide to issue a “public declaration” of his assets that was, to use human rights activist Chido Onumah’s wise words, “long on sophistry and short on details.” It was not a real public declaration. There were no specifics other than unhelpfully broad claims that the president had a house in Abuja (which he earlier said he didn't have during the campaigns), Kano, Kaduna, and Daura; some cattle and livestock; “less than 30 million naira” (how more deceptively vague can you get than that? ); and so on. Compare Buhari’s "public asset declaration" with the late President Umar Musa Yar'adua's more transparent, public declaration and the underhandedness of Buhari’s will become nakedly apparent. Even the president’s people knew the so-called declaration was a sleight of hand. That was why the president’s media aide said, “As soon as the CCB is through with the process, the documents will be released to the Nigerian public and people can see for themselves.” It’s been more than two years since, and the declaration hasn’t been released to the public—like the late Yara’adua’s was. This government is an embodiment of multi-layered chicanery, and it is unravelling before the world. There is only so far you can go with unintelligent prevarications and propaganda. Every lie has an expiration date. I think we’re getting to the expiration date of the lies of this government. The career profile of Boss Mustapha, the new Secretary to the Government of the Federation, is impressive. On paper at least, he seems well-suited for the job. But I hope he also has the temperament and moral stamina for the job. With his pick, it’s obvious that Buhari still wants to play safe in his comfort zone while avoiding the danger of falling into the religious and ethnic, but mostly religious, chasm of the North. 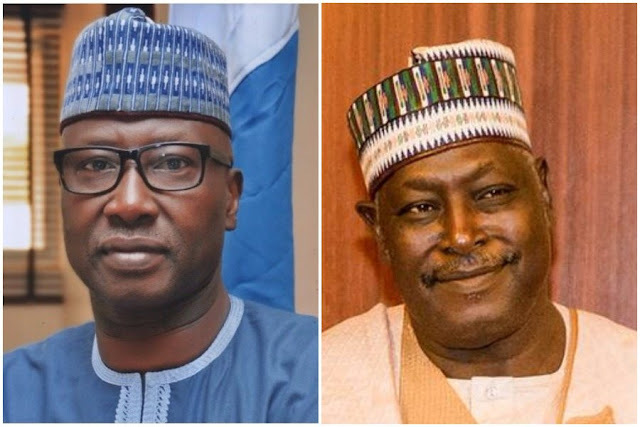 Like Babachir Lawal, Boss Mustapha is a Christian from the Kilba ethnic group in Adamawa State. That’s commendable sensitivity on Buhari’s part because had Babachir been replaced by a northern Muslim, there would have been (justifiable) grumbling in the northern Christian community, given Nigerians’ hypersensitivity to empty symbolism. Well, it has now come to light that Mustapha is Lawal’s relative and that the appointment may actually be a compensation to mollify Lawal. If this is true, we’re not yet out of the woods. It’s another reward for personal loyalty that doubles as a symbolic gesture to northern Christians. But, whatever it is, it’s both praiseworthy and gratifying that Babachir is gone for good. That should only be a first step, though; for his sack to have any meaning, he should also be arrested and prosecuted forthwith. And we should keep an eye on Mustapha. While we’re at it, other corrupt toadies in the government should be shown the way, too. And the president should pledge to henceforth not be a protector of corrupt associates and a tormentor of corrupt opponents; he should be an equal-opportunity tormentor of all corrupt people. That’s the only way he can salvage his fast depleting reputational capital.